Check out a car show, a food truck festival, and more fun events around the Capital Region this weekend. Summer isn’t over yet – get out there and enjoy all the area has to offer this season! 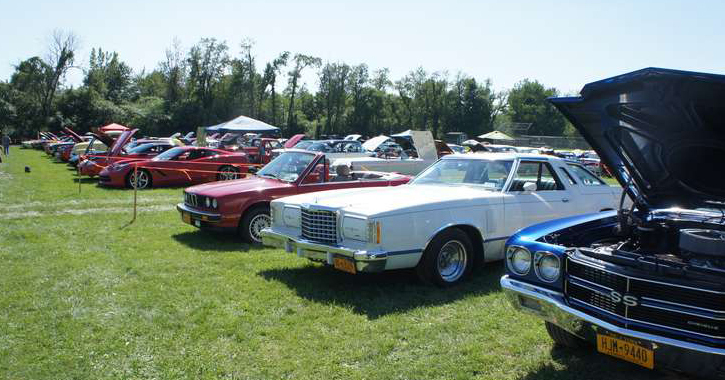 The Clifton Park Elks Lodge is hosting its 11th annual Car Show at their location in Ballston Lake. All years and makes of cars, trucks, and motorcycles are welcome and over 50 awards will be given out. Who doesn’t love food from food trucks? Enjoy food trucks to the max at the Electric City Food Truck Festival at the Rivers Casino in Schenectady. Capital Q Smokehouse, The Chuck Wagon, Flavors of Lebanon, and more will be in attendance. Country music superstars Tim McGraw and Faith Hill are performing at the Times Union Center as part of the Soul2Soul Tour. Tickets start at just $22! Popular Saratoga-based country music group Grit-N-Whiskey will be playing for free at Freedom Park in Scotia. They specialize in modern country, covering artists like Miranda Lambert and Jason Aldean. There are only a couple of musical events left in the Powers Park Concert Series in Troy! This Saturday you can catch School of Rock from the Troy Music Academy & Rocks Music Studio. For something a little different at the Freedom Park Summer Concert Series, you can check out the Ellen Sinopoli Dance Company with modern dance and impressive athleticism. If you’re looking for something fun to bring the kids to this weekend professional puppeteers The Puppet People are putting on a show at the Mechanicville District Public Library. Enjoy the classic story of The Three Little Pigs, for free.